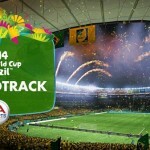 EA SPORTS™ have released their official gameplay trailer for 2014 FIFA World Cup Brazil™. The game hits shelves on April 15th in North America and April 17th in UK! Experience all the Fun, Excitement, and Drama of Football’s Greatest Event. Multiple improvements and innovations to the award-winning gameplay of FIFA 14, plus 100 new animations, make EA SPORTS™ 2014 FIFA World Cup Brazil™ the most accessible, fun, and exciting EA SPORTS FIFA title on Xbox 360 and PlayStation 3. 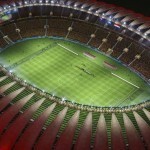 EA SPORTS™ 2014 FIFA World Cup Brazil™ will let fans experience all the fun, excitement, and drama of football’s greatest event. Featuring the deepest set of game modes ever in an EA SPORTS tournament title, all new gameplay innovations and improvements, and a rich presentation that captures the color and vibrancy of Brazil. 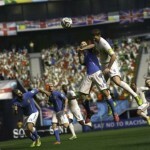 EA SPORTS 2014 FIFA World Cup Brazil will put fans in control of their nation’s fate. The game hits stores beginning April 15 in North America and April 18 in UK for the PlayStation®3 computer entertainment system, and Xbox 360® videogame and entertainment system. For a first look, visit the official FIFA World Cup | EA SPORTS website.